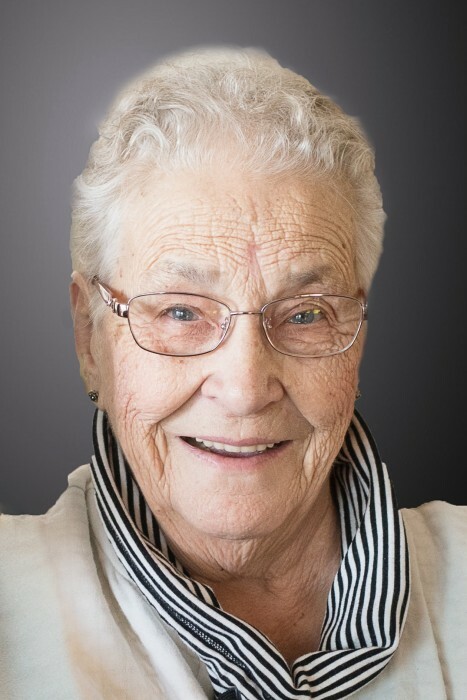 Lola Lorraine (Forgues) Cormier, age 85, passed away on Tuesday, June 19 at Health Alliance Hospital in Leominster. Born in Fitchburg, Mass, on March 16, 1933, Lola was the daughter of Alfred and Ellamay (Cormier) Forgues and lived most of her adult life in Leominster. Her beloved husband of 59 years, John (Jack) Cormier died in 2013. She is lovingly remembered and missed by her five children, Corrine Ferzoco and her husband Pelino (Bill) Ferzoco of Leominster; Susan Brown and her husband Denis Brown of Shrewsbury; John Cormier and his wife Esther of Cooper City, Florida; Kathleen Monahan and her husband Joseph of Uxbridge and James Cormier of West Boylston, sisters Jeanette Legere of Greenville, New Hampshire and Elaine Armstrong of Florida, eleven grandchildren, four great grandchildren, and nephews and nieces. Lola worked for many years in the health care field as a nursing assistant. Lola enjoyed taking trips with her family and especially loved going to the beach, Disneyworld and Las Vegas. She enjoyed puzzles and knitting and often donated her hand-made-with-love items to those in need. She was a loving and nurturing mother and loved caring for her family, grandchildren and great grandchildren.